But just because it’s summer doesn’t mean we should stop reading and writing. The YA Chicks— ViviBarnes, Christina Farley, and Amy Christine Parker—along with guest co-creators Lucienne Diver, Peggy Jackson, and Tara Gallina , are excited to share with you a global campaign that we are launching on May 22, 2015, to encourage readers, writers, students, and teachers to share pictures all of the places—both ordinary and extraordinary—where they are reading and writing. This is open to all readers/writers of both middle grade and young adult books! ***A more detailed listing of prizes will be posted closer to the event date, so check back often! It’s easy! Simply choose which prize pack you’d like to win and find the directions for it below under the headings: READERS, WRITERS, or STUDENTS & TEACHERS (you can participate in multiple giveaways). Then visit the YA Chicks site on May 22, 2015, beginning at 9 a.m. EST, and enter your chosen giveaway(s). We can’t wait to see where you’re reading and writing! · Officially enter the giveaway by telling us the authors’ names and your guesses about their locations. Every author location you guess correctly increases your chances to win. · For even more chances, post a picture of yourself reading or writing on Twitter or Instagram with the hashtag #ReadOrWriteAnywhere (must have the hashtag). · Post pictures of yourself writing in a fun location on Twitter or Instagram using the hashtag #ReadOrWriteAnywhere. Then let us know you did it when you enter the giveaway. 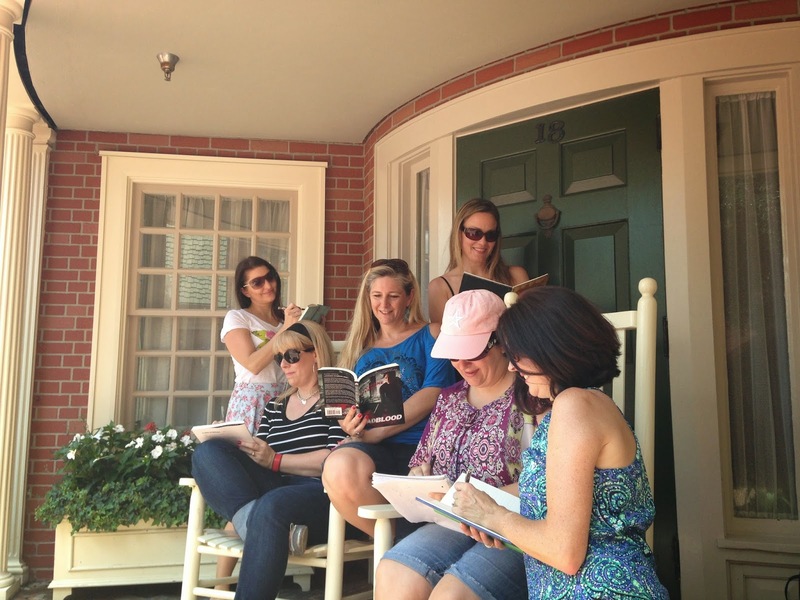 · For even more chances, gather your writer friends together and post a group shot with the hashtag #ReadOrWriteAnywhere (must have the hashtag). And hey, since you’re already together, why not host a write-a-thon? · Post pictures of your class reading or writing on Twitter or Instagram using the hashtag #ReadOrWriteAnywhere (must have the hashtag). · You can also check out our YA Chicks Read or Write Anywhere lesson plan, available on our site. If you are reading this and we haven’t contacted you directly, but you’d like to take part in this event, please visit our Read or Write Author Page and fill out the application here. That’s it! We hope you’re as excited as we are about this campaign and trio of giveaways. Now, what are you waiting for? Get out there and READ OR WRITE ANYWHERE!